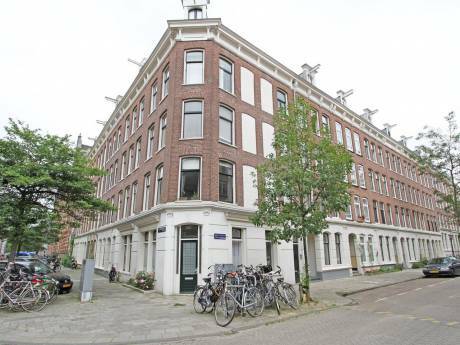 Spacious 2 bedroom Apartment with balcony overlooking a beautiful canal. Our two bedroom apartment is situated on the West edge of the city. It's 10 minutes to Central station by foot and is very well connected by trams & buses if you prefer the chauffeur option. Turn right out of our front door and walk for 30 seconds and you'll find a high street with the usual assortment of bakers, cafes and post office etc. Importantly there are two major supermarkets and another older but well known supermarket called Avond Markt which sells some very nice items and is conveniently open until midnight should you need a late shop stop. Turn left out our front door and walk for minute and you'll find yourself in a beautiful park with cafes & galleries and a theatre and exercise trails. 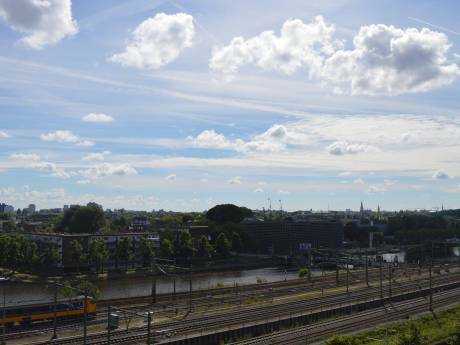 We have a very light & spacious apartment in a 1974 building with a great view overlooking a beautiful canal and the traditional Amsterdam houses on the other side. The nice thing is we're not over looked on the top floor and the balcony overlooks the canal which is not something you'll find very often in a central location. The two bedrooms are the same size as each other and one has a very comfy and very easy to use sofa bed which is always ready for use. The kitchen is very well equipped and is used more than any other space. It's the kind of place where it's ok to make a mess as it's easy to clean up. You'll find a dishwasher, washing machine and a tumble dryer plus the usual kitchen appliances and a really good coffee machine. In the basement of the building we have a storage room where our bikes are parked. If you feel confident enough to cycle in Amsterdam then we're happy for you to use them. Also in the basement you'll find access to the garden. We've just started an urban gardening project with the neighbours and are growing fresh herbs which you're welcome to taste. There's also a beehive but not sure when we going to see the honey! We're open minded as to where we go in the world and we're quite well travelled which is what drew us to the idea of Home swapping. The idea of being offered somewhere we'd not considered, seen before, or have been to and loved it, is an exciting prospect to us. 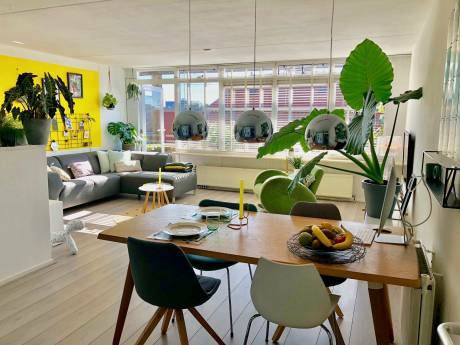 We also want people to feel at home here in Amsterdam and make the best use of our place. We're pretty easy going and I think it's clear from our home that it's lived in, even though it's newly renovated and simply decorated, we hope you'll feel as though you can treat it as your home too. Timings are open, if there's a time you have in mind, drop us a line and maybe we can arrange something. We're married guys without kids. Louis works in Finance and Jens works for an International airline . We love travelling together, nature, stunning scenery and food & drink play a bug part in our lives. Just visited the newly opened Rijks museum. Amazing! Westerpark is right round the corner, Literally. Great park for walks and exercise and restaurants and galleries etc. Rent a boat and see the city from it's best angle.